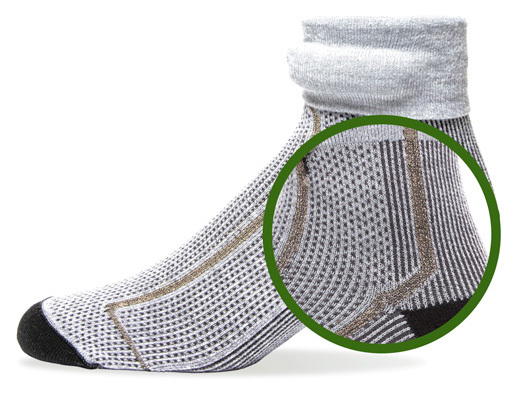 The smart sock that can tell you how fast and how far, but also how well you run. A sock like no other. Comfortable textile sensor technology meets American artisanship. Each smart sock is infused with three proprietary textile sensors under the plantar area (bottom of the foot) to detect foot pressure. The conductive fibers relay data collected by the sensors to the anklet. 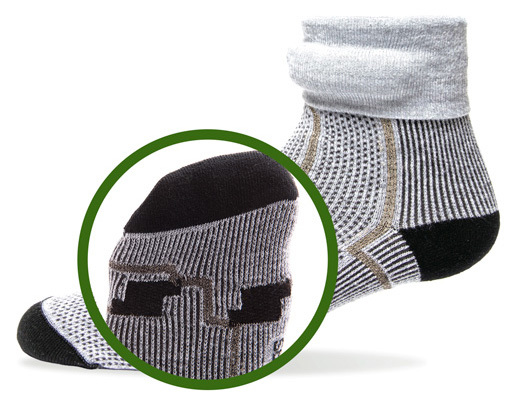 The sock has been designed to function as a textile circuit board. 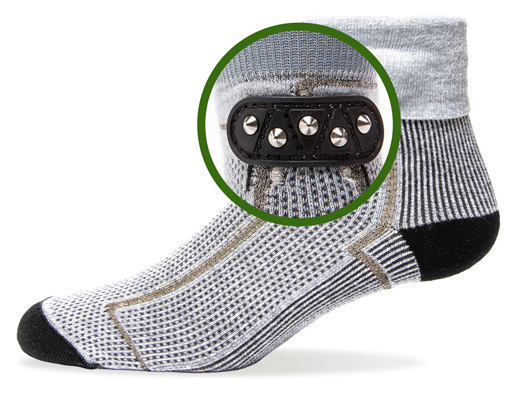 Each sock features magnetic contact points below the cuff so you can easily connect your anklet to activate the textile sensors. 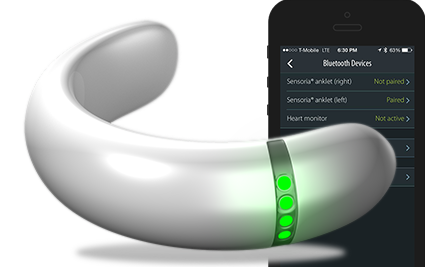 Adjustable anklet connects sock to the Sensoria mobile app. Weighing less than 1 ounce, the adjustable anklet has a one-of-a-kind flexible electronic circuit board to fit different ankle sizes. 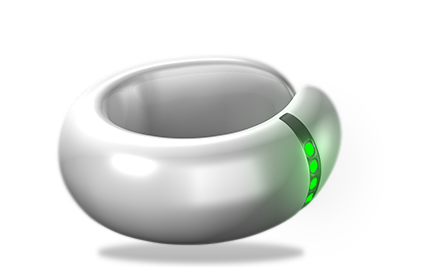 When connected to the sock, the anklet communicates continuously with the mobile app through Bluetooth Smart. 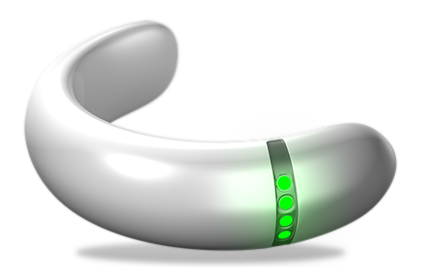 The anklet battery supports active usage over 6 hours. It also contains a 3-axis accelerometer to further enhance data monitoring.